Mid to late fall is the best time to prune plants and trees. The summer growth cycle is over and the plants are preparing for their dormant stage over the colder months. 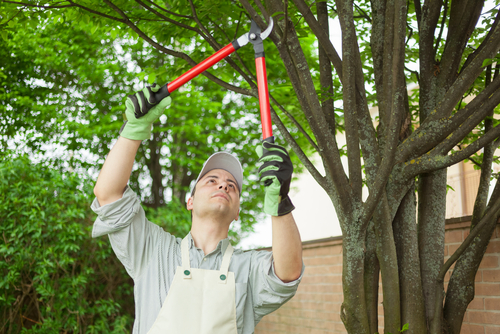 Prune tree limbs and branches so they are at least 3 feet from your house. This prevents rain and snow from dripping onto your roof or siding. This will also prevent potential damage to your home in the event of high winds and heavy snow or ice storms. Pruning your trees and bushes now will not only avoid potential damage to your home, but will also keep the plants healthy over the winter and ready for a new awakening next Spring. 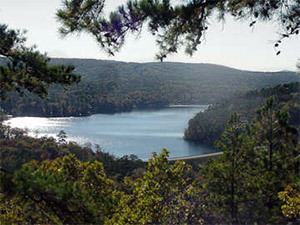 For information on caring for specific plants and trees native to Hot Springs Village, visit the University of Arkansas Cooperative Extension website. RealtyTrac recently released a report showing the top cities attracting real estate investment. Hot Springs Village made the list! Many soon-to-be retireees are investing in properties now while the prices are still low and using their retirement accounts to pay cash via a Checkbook IRA. Then they are renting out the properties as short-term and vacation rentals and managing the property within their IRA. Check with your accountant on the benefits of using your retirement funds to invest in real estate now, and if it's the right option for you. Baby Boomers started to retire a few years ago, and will continue to retire in great numbers for the next 10-15 years which will fuel the retirement-home buying market . . . in the desirable places to retire like Hot Springs Village. The median sale price for homes in Hot Springs Village is approximately $170,000, and the annual percent increase in home prices is approximately 26% . . . time to buy, whether you are paying cash or getting traditional mortgage financing. Check out some of the amenities Hot Springs Village residents enjoy. Lakefront living offers gorgeous vistas and water views, peace and tranquility, swimming, fishing, boating, and other fun activities you can dive into right from your lake house shore or dock. There is no doubt that those who are fortunate enough to live lakeside feel like they are on vacation every day. Always wanted to live on a lake? Well, in Hot Springs Village you can! Beautiful lakefront homes can be yours for less than half of what you'd invest to own a house on the ocean. If you don't own a lake home yet but dream someday of living on a lake, we can help make your dream a reality. Contact us for assistance finding that perfect place. We'll arrange for a rental for your stay, a tour of available lakeside homes for sale, and handle all the details of your purchase.